Last month, Sweet WHISKEY #A2025519 thought he was going for a car ride with his family. 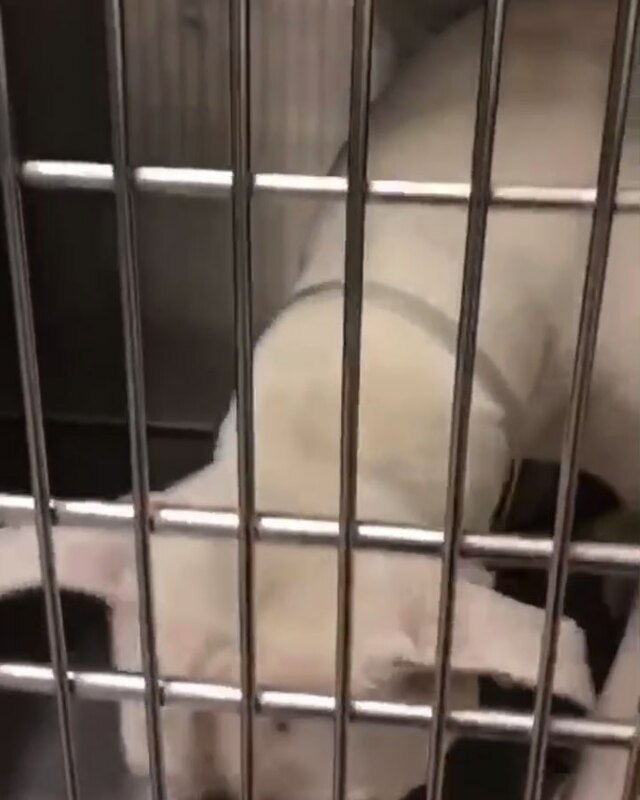 Instead, they dumped him at the shelter, harness and all 😭 The heartache in his face in his intake picture says it all 💔This poor baby now sits behind bars at an overcrowded shelter, awaiting his fate. Even though he’s just a baby, he’s been completely overlooked simply because there are so many dogs 😭 PLEASE HELP SAVE this sweet baby. The only hope he has is us.